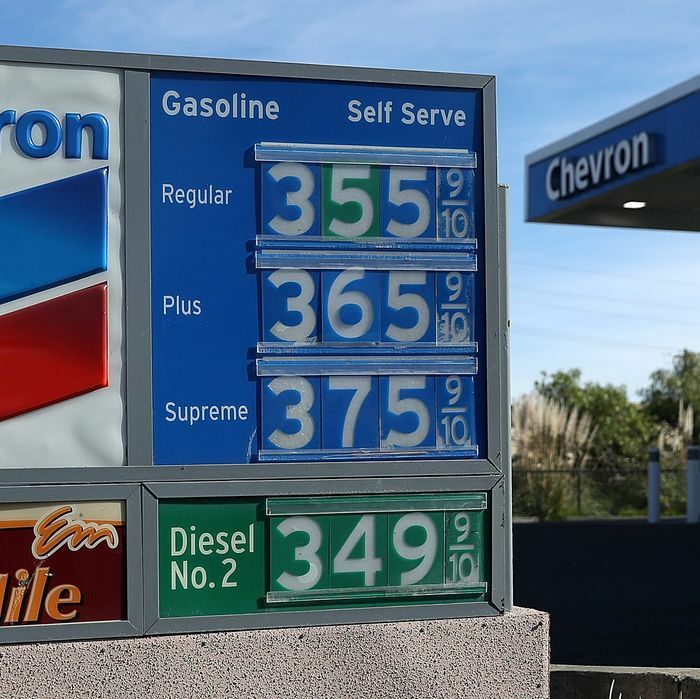 Gas prices in California have gone up significantly since a gas tax increase enacted by the Democratic-controlled legislature went into effect last year. These are not great times to be a Republican in California. Democrats have large majorities in both chambers of the legislature, and hold all statewide elected offices. In 2016 Donald Trump won a smaller percentage of the presidential vote (31.6 percent) in the Golden State than any Republican nominee since William Howard Taft was knocked right off the ballot in 1912. The same year, Republicans didn’t even make the general election for the U.S. Senate contest under California’s top two system (which places the two leading candidates in the non-partisan primary, regardless of party or of percentage, in the general election). The same thing is sure to happen in this year’s Senate race (where Democrats Dianne Feinstein dominate the field) and could easily happen in the gubernatorial contest (where Democrat Gavin Newsom is the unchallenged front-runner and Democrat Antonio Villaraigosa is the betting favorite to finish second in the June 5 primary, with an expensive ad campaign on his behalf just beginning to get in gear). Meanwhile, Democrats are targeting no fewer than seven Republican-held U.S. House seats, a list that could expand as a 2018 wave builds. And the failure to make the general election in either of the top statewide races (if that’s what happens) could present a real problem for GOP turnout efforts. But Republicans think they have a way to energize their base and maybe even win some converts this November, and it’s a technique that has worked for them in the past: an anti-tax ballot initiative. Almost immediately, Republicans organized a recall campaign against a Democratic state senator from a conservative Southern California district who voted for the gas-tax increase, hoping to break the Democratic supermajority in that chamber. After some delays, the recall will be on the June 5 primary ballot in his district. But the larger effort is a ballot initiative to amend the state constitution in order to require voter approval of any fuel tax increases in the future. It is written in a way that would invalidate the 2017 tax increase. The mostly-Republican organizers of the initiative believe they have secured enough petition signatures to get their measure onto the November general election ballot. “Everybody on the Republican side, at least all my clients, are definitely making this an issue,” said David Gilliard, a political consultant representing candidates including Haskin. It’s a token of GOP faith in the initiative as a turnout-driver and base-energizer that the top four donors to the organizing committee for the initiative are the state party and the campaigns of gubernatorial candidate John Cox, U.S. House Majority Whip Kevin McCarthy, and endangered House incumbent Mimi Walters. They may be making a smart investment. Polling on the potential initiative has been mixed but pretty close. The most credible recent poll, from the Public Policy Institute of California, showed the gas-tax repeal favored by 47 percent of likely voters and opposed by 48 percent. That’s a lot better than pretty much any other Republican-backed effort can do statewide in California at present. But there’s some risk involved in the GOP gambit. If the initiative battle becomes one of those legendarily expensive Golden State ballot fights, with business backers of the tax increase (including construction interests directly involved in the repairs it is financing) going for broke to defend it, Republicans might wind up spending money better deployed in actual campaigns. And while higher taxes are never popular, and California gas prices are indeed high (the average price of a gallon of regular gasoline is currently $3.60 according to AAA (80 cents higher than the national average, and second-highest in the country, trailing only Hawaii), they aren’t astronomical by historical standards, and could trend downward after the peak driving season ends in the fall. A lot could depend on how effectively supporters of the tax draw attention to all the road and bridge repairs going on that passage of the initiative would halt — not to mention the fiscal havoc the state would be plunged back into that has been mercifully absent in the last few years. In the end, of course, it’s doubtful that any one issue is going to have a greater effect on either turnout or results in this midterm election than the popularity and visibility of the president of the United States; in California especially the former remains low and the latter high. There’s not much Republicans can do about that.